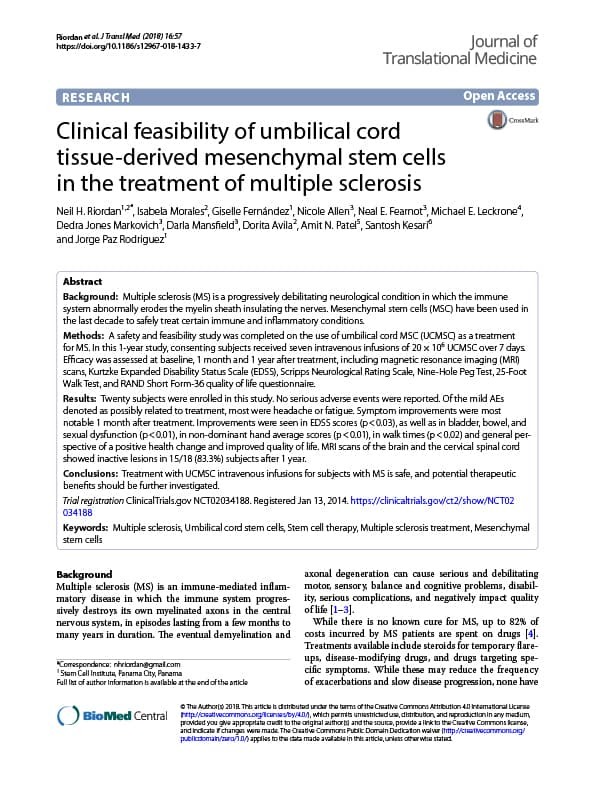 Non-expanded adipose stromal vascular fraction cell therapy for multiple sclerosis. J Transl Med. 2009 Apr 24;7:29. Riordan NH, Ichim TE, Min WP, Wang H, Solano F, Lara F, Alfaro M, Rodriguez JP, Harman RJ, Patel AN, Murphy MP, Lee RR, Minev B. The stromal vascular fraction (SVF) of adipose tissue is known to contain mesenchymal stem cells (MSC), T regulatory cells, endothelial precursor cells, preadipocytes, as well as anti-inflammatory M2 macrophages. 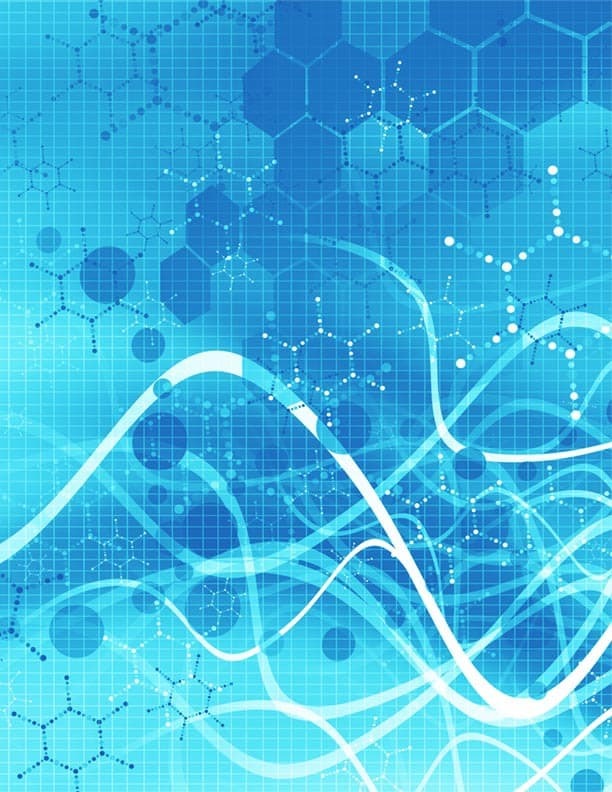 Safety of autologous adipose tissue implantation is supported by extensive use of this procedure in cosmetic surgery, as well as by ongoing studies using in vitro expanded adipose derived MSC. Equine and canine studies demonstrating anti-inflammatory and regenerative effects of non-expanded SVF cells have yielded promising results. 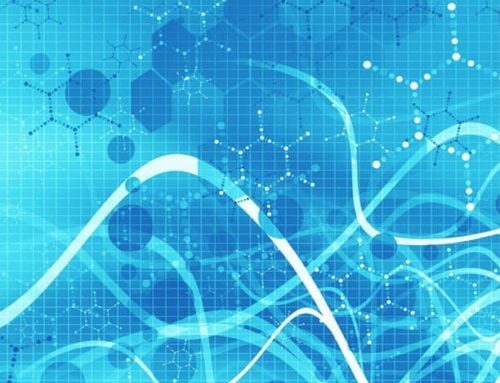 Although non-expanded SVF cells have been used successfully in accelerating healing of Crohn’s fistulas, to our knowledge clinical use of these cells for systemic immune modulation has not been reported. 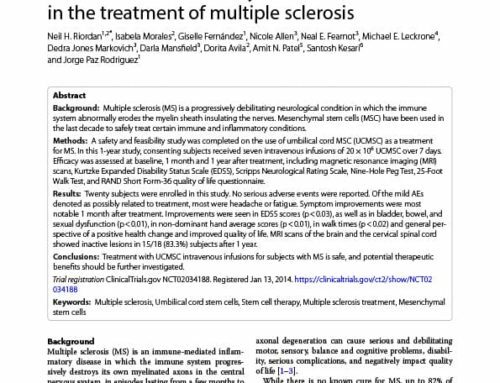 In this communication we discuss the rationale for use of autologous SVF in treatment of multiple sclerosis and describe our experiences with three patients. 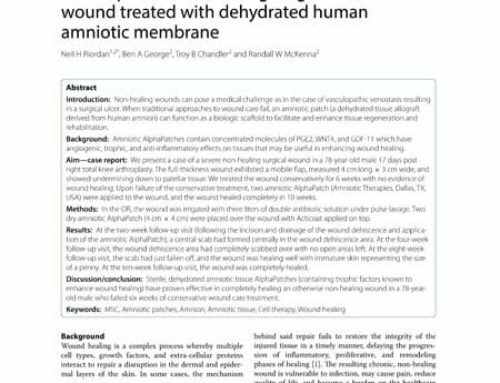 Based on this rationale and initial experiences, we propose controlled trials of autologous SVF in various inflammatory conditions. 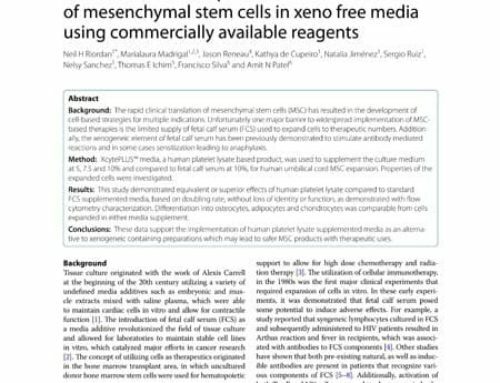 Outstanding survival and regeneration process by the use of intelligent acellular dermal matrices and mesenchymal stem cells in a burn pig model. 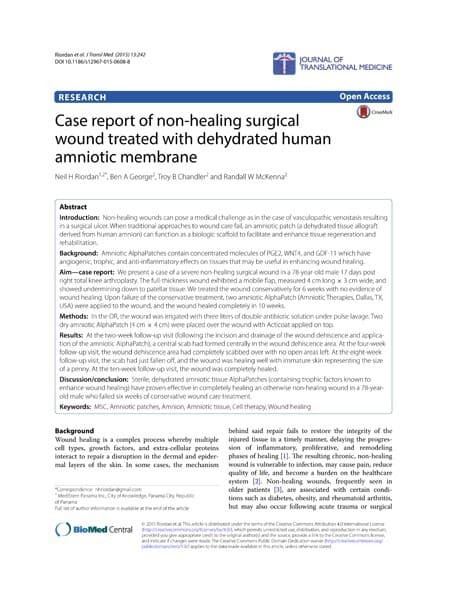 Case report of non-healing surgical wound treated with dehydrated human amniotic membrane. 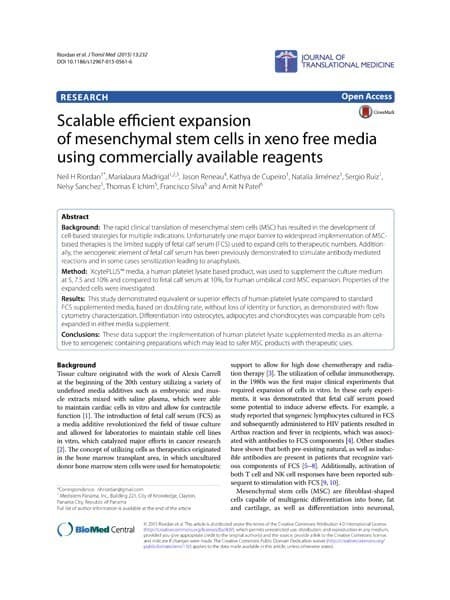 Scalable efficient expansion of mesenchymal stem cells in xeno free media using commercially available reagents. 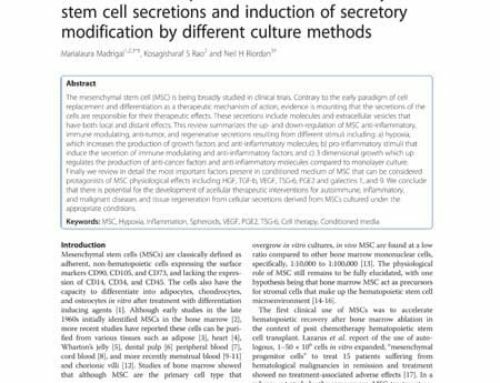 A review of therapeutic effects of mesenchymal stem cell secretions and induction of secretory modification by different culture methods.